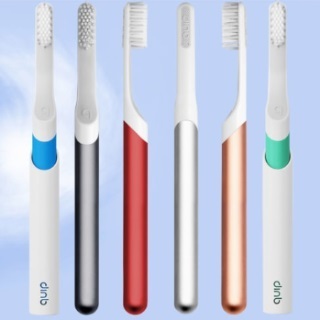 Quip is a subscription-based toothbrush kit. It’s a step above a manual toothbrush. 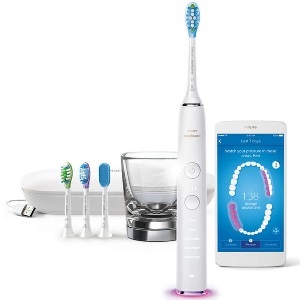 The toothbrush delivers the features of an electric with some added bonuses. 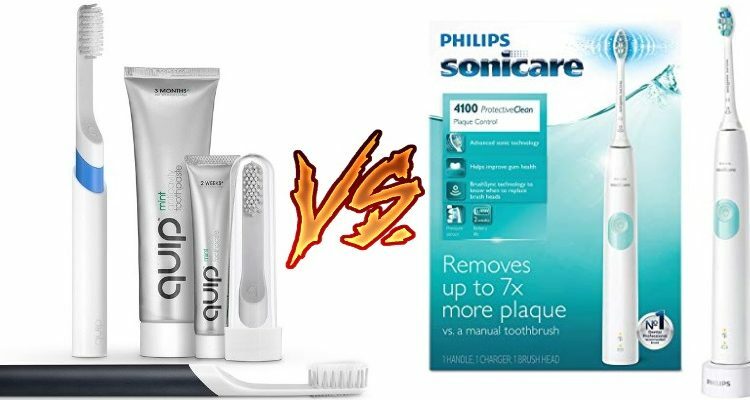 Is it a good toothbrush compared to a proven competitor like Sonicare? The Quip is a great electric toothbrush at one level above a manual. 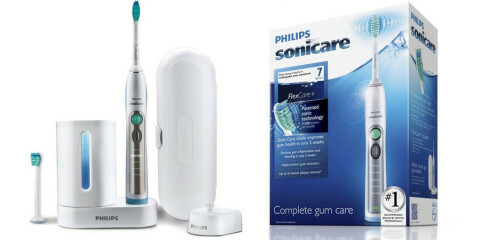 We will conduct an in-depth comparison between this newcomer and the proven leader called Sonicare. We’ve chosen to compare the Quip with the Sonicare 4100. Side-by-side they should have many of the same features and benefits. If you’ve wondered about this newcomer Quip and its subscription service, we’ll help put it all in perspective for you. At the end, you’ll understand whether it’s all hype or real value. The toothbrush is lightweight and slim in the hand. In the Quip, you’ll get a travel case that can also be wall mounted. The Quip is an electric toothbrush that’s slim, has sonic vibrations, and a timer for proper brushing. It’s definitely a step above a manual toothbrush. Let’s talk about some of the features and the benefits of this sleek, little toothbrush. It’s easy to hold without any awkwardness of a bulky handle. When brushing the back molars, you need a brush that can be angled for cleaning. This one is slim enough to hold at an angle. The ergonomic handle of the Quip also holds removable batteries. There’s no lengthy charging process for using this toothbrush. There are batteries included, so you can use this right out of the box. Eventually, you can purchase batteries that are focused on electronics. Unfortunately, there is no battery indicator to let you know when the brush will need new batteries. You’ll have to keep replacements on hand just in case. There’s a built-in timer with the Quip. It’s what you’d expect from an electric toothbrush. The timer will keep you brushing for the two minutes that dentists recommend. Two minutes can be much longer than you’d expect, and many people don’t guess correctly. It’s better to have a timer to really instill good brushing habits. With the Quip’s slim design, it’s easy to bring this with you anywhere. Travel with the toothbrush means just tossing it into a bag. The wall mounted sleeve doubles as a travel case. The electric toothbrush delivers 15,000 movements per minute. That’s definitely more than a manual toothbrush. You could never deliver that kind of brushing movement without that motor. Finally, the biggest feature of this toothbrush is that it comes as part of a subscription plan. Instead of remembering to replace the brush heads in three months, the plan will deliver the heads for you. Brushing with a single head for more than three months is a recipe for disaster. It builds up bacteria, which can have a serious impact on your oral health. It also doesn’t clean as well when the bristles start to wear down. The plan is versatile and can be customized for your particular needs. There are two starter deals. The first is a set that comes with the toothbrush, the travel cover, and two toothpastes. That includes a new brush head, battery, and two toothpastes every 3 months. The second set is the bare minimum. You get the brush and travel cover to begin. Every 3 months, you’re getting a brush head and a battery. There are also group set options if you want to equip your entire family with a brush as well as new brush heads every 3 months. There are many color and material options available with the Quip. You can choose between 4 metal colors; gold, copper, slate, or silver. There’s also a blue plastic and a green plastic option. The toothbrush has a timer and pacer in the handle. It comes with a pressure sensor. There’s BrushSync for tracking brush time. It has an Easy Start program. The Sonicare 4100 is a toothbrush that feels comfortable in your hand. 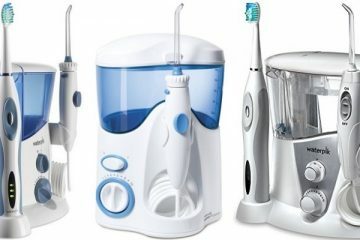 It has the essential features that most customers expect from an electric toothbrush. It also has extra features and benefits that make it a pleasure to use. As with most of Sonicare’s toothbrushes, this one has a Smartimer and Quadpacer. This is to alert you when you’ve brushed for long enough. The timer will keep track and alert you when two minutes has passed. The pacer gives you an alert every 30 seconds, so you can switch areas of your mouth. It’s important to keep the pressure light and allow the motor to do all the work. That can be a huge change in brushing for some people. They need a sensor to glow when there’s too much pressure. With this electric toothbrush, you’re getting 31,000 brush movements to remove plaque and food. It pushes cleaning bubbles through the gaps between teeth, too. There’s no need to press down on the surface of the teeth. All that does is remove enamel. The loss of enamel can be as dangerous as bacteria between the teeth. The BrushSync technology tracks the amount of time you’ve been using the same brush head. It records the amount of pressure you’ve used to brush, too. It takes both of those records and tells you when it’s time to replace your brush head. Switching from manual to electric can be a bit of a shock. The Easy-Start program will gently increase the power of the toothbrush over time. The first 14 times will be easy and gentle before the brush gains full power. The handle of the brush also includes a battery charge indicator. The toothbrush can be charged to work cordless for up to 2 weeks. Once the battery has been depleted, you’ll be alerted by the light. It won’t lose power as the battery winds down. You’ll only know that it’s on the last of its juice by the light indicator. The brush head of the 4100 is curved at the tip to get into hard-to-reach areas. Those areas in the back of the mouth where molars can be ignored. That’s where the brush head will focus with its curved design. The basis of Sonicare’s features lies in its sonic technology. The vibrations of the toothbrush will do a few things. It’ll push bubbles between teeth to remove food and bacteria. Those bubbles from your toothpaste will also fight plaque along the gum line. Those two areas are the most troublesome when brushing. The vibrations also remove food and plaque from the surface of the teeth without scrubbing and scraping. The toothbrush is safe for braces and other dental work like crowns, too. With different features, it might be a bit difficult to do a direct comparison between the toothbrushes. They have features that will fit different needs. The Quip and Sonicare both have a built-in timer. The timer will alert users when two minutes have elapsed. This is important because it will give you a full clean for the time that dentists recommend. You don’t have to guess when two minutes have passed. You can concentrate on brushing. The Quip doesn’t have a built-in pacer, but the 4100 does. The Quadpacer gives a little nudge when 30 seconds has passed. Each quadrant of your mouth needs an equal amount of brushing time. The brush will alert you when it’s time to move from one quadrant of your mouth to the next. For example, you could start with the top right side of the mouth. After 30 seconds, the alert will sound. You will move to the right bottom side of the mouth. Each quadrant from left to right and top to bottom will receive attention. The timer for both is a tie. The Quadpacer makes the Sonicare superior. When it comes to the handle of the Quip, it’s incredibly slim and easy to hold. That slim design makes it easy to take with you wherever you go. It slips easily inside a purse or bag, so it’s not completely obvious that you have a toothbrush with you. That’s great for people who need to brush after lunch. Kids with braces who might not want to advertise that they have a toothbrush will love this design. The 4100 has an ergonomic design, but it’s not as slim or unobtrusive as the Quip. The 4100 has contours on the handle that offer great places for the hand to grip. The Quip is sleek and slick. When you’re hands are wet, it’s easy for the Quip to fall. For the design elements, it’s a draw. The Quip is slim and good for travel. The Sonicare 4100 has a better handle for gripping. When it comes to movements, that’s where an electric toothbrush will surpass a manual one. There’s no way you could achieve thousand of brush movements per minute manually. The Quip has 15,000 movements per minute. That’s thousands more than a manual. It still falls way behind when it comes to the 4100, though. The Sonicare 4100 delivers 31,000 movements per minute. With a dentist-recommended two minutes of brushing, that’s 62,000 movements that remove plaque. In this case, the 4100 far outshines the Quip. 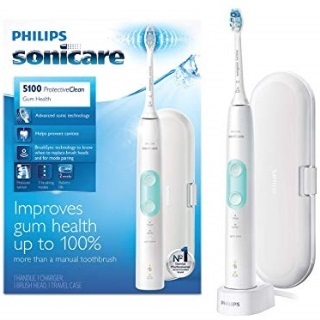 The Sonicare 4100 has a rechargeable battery that will last for up to 2 weeks on a full charge. It’s a simple matter to plug the toothbrush into the charger when the battery is drained. You don’t have to spend extra money on batteries to fuel the toothbrush. The 4100 has a battery indicator, too. It’ll let you know when the battery needs recharging. The Quip doesn’t run off a rechargeable battery. It uses a simple AAA battery. That first battery is included with the purchase of the toothbrush. The length of the charge will depend on the strength of the AAA battery you purchase. It’s meant to last for up to 3 months. The life of the Sonicare battery pales in comparison to the Quip. The reason for the length of battery for the Quip is likely because it doesn’t have as much power and movements as the 4100. The winner here is the Sonicare for its superior power. There is only one cleaning mode for each of the toothbrushes. While other Sonicare models have numerous modes for cleaning, the 4100 does not. It has one simple mode that’s completely uncomplicated. The Quip doesn’t have various cleaning modes in any of their toothbrushes. It’s a simple matter to turn on the toothbrush and brush your teeth. The 4100 has a pressure sensor. It ensures that you’re not scrubbing your teeth too hard. You want the brush to do all the work. It’s all about movement and scrubbing bubbles. The Quip doesn’t have a pressure sensor. It’s a tie in terms of number of cleaning modes. As for the pressure sensor, the 4100 wins. The Quip has a simple square toothbrush head. It looks like what you’d find on an inexpensive manual toothbrush. It’s square with rubber nibs on the sides that will shine the teeth. The 4100 benefits from having tightly packed bristles and a curved end. The angle of the toothbrush allows for better cleaning for back molars. Those hard-to-reach areas are easy for this toothbrush head. There’s also BrushSync replacement reminder and bristles that will alert you to when you need a replacement. The Quip has a subscription service that sends replacement heads every three months. That service can be had through an online platform like Amazon, too. You can set up replacement services through both platforms. Overall, the 4100 wins here. The 4100 is a superior toothbrush. As you can see from the above comparison, it’s more powerful than the Quip. They both deliver thousands more movements to remove plaque compared to a manual. The 4100 has 31,000 movements per minute. The Quip has 15,000. Those movements influence the rest of the features, too. 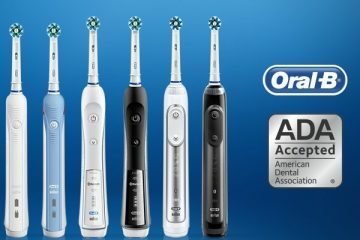 The battery life is better in the Quip because it doesn’t deliver as much power as the Sonicare. The Sonicare has 1 cleaning mode as does the Quip. The 4100’s cleaning mode is better because of the power being delivered. Waterpik WP-100 vs WP-660 vs WP-670 vs WP-900 vs WP-950: Which One Wins?